Cover Art, Plot Summaries, Author & Artist Information. 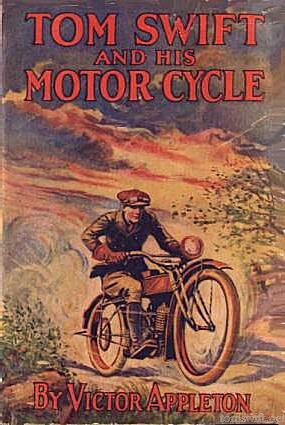 A product of the Stratemeyer Syndicate, Tom Swift is the eponymous hero in the 38 volume Tom Swift series published by Grosset & Dunlap from 1910 to 1935 and two Whitman Better Little Books published 1938 to 1941. The stories are basically adventure tales with Tom's latest invention being heavily involved in the plot. Tom Swift lives in Shopton, NY, near Lake Carlopa. He is the son of Barton Swift, inventor and founder of the Swift Construction Company. Tom's mother is deceased and housekeeper Mrs. Baggert functions as his surrogate mother. Tom is accompanied on his adventures by his close friend Ned Newton. Regular characters include Mr. Wakefield Damon, Mary Nestor, Eradicate "Rad" Sampson & his mule Boomerang, and the Patagonian giant Koku. Tom's main antagonists in the early stories were Andy Foger and his crony Sam Snedecker. Cover Art, Plot Summaries, Artist & Author Information. The 33 volume Tom Swift Jr. series, again a product of the Stratemeyer Syndicate, was published by Grosset & Dunlap from 1954 to 1971 with a Tom Swift Jr. Activity Book published in 1978 by the Elephant Books division of Grosset & Dunlap. 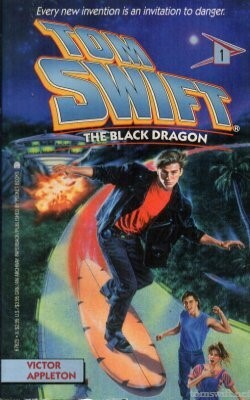 Tom Swift Jr. is the son of Tom Sr. & Mary Nestor Swift. Tom Swift Sr. is now the head of Swift Enterprises, the sprawling facility in Shopton, NY where inventions are dreamed up and manufactured. Tom Jr. is now the primary genius of the family and shares his all adventures with his pal, Bud Barclay. Regular characters include Tom Sr, Mary Nestor, Bud, Ned Newton & his daughter Phyllis, Tom's sister Sandra and Charles "Chow" Winkler. Appearing throughout the series are Swift Enterprises employees Harlan Ames, Phil Radnor, Hank Sterling, Arvid Hanson, Slim Davis, George Dilling, Art Wiltessa, and Miss Trent. The 11 volume Tom Swift III was published from 1981 to 1984 by the Wanderer Books division of Simon & Schuster in paperback and hardcover with dustjacket. Two unpublished manuscripts ("Chaos On Earth" & "The Micro World") were later printed in paperback by Tom Swift enthusiasts. This series is set primarily in outer space. Tom is 18 and is the son of Tom Swift but it's unclear if it is Senior or Junior. Swift Enterprises is now located in Shopton, New Mexico. Tom Swift cruises the galaxies in the starship Exedra, using a faster-than-light drive. He is aided by his best friend and co-pilot, Benjamin Franklin Walking Eagle, a computer wizard. Regular characters include technician Anita Thorwald, a technician whose right leg has been rebuilt to contain a miniature computer, and Tom's robot, Aristotle. Cover Art, Plot Summaries and Artist Information. 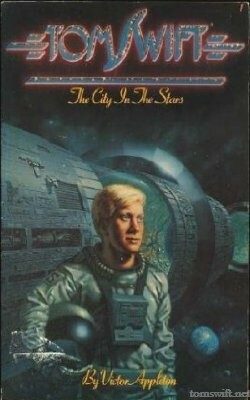 The 13 volume Tom Swift IV series was published by the Archway division of Simon & Schuster in paperback from 1991 to 1993. Tom Swift Jr. is the son of Tom Swift Sr. and Mary Nestor. The series is set mostly on Earth, with occasional space trips to the Moon. Swift Enterprises is now located in California. The stories are adventures with science fiction driven plots. Tom's inventions at times have unexpected results. Tom joins forces with Hardy Boys in the 2 volume spin-off Ultra Thriller series (1992 to 1993) which also has science fiction based plots. 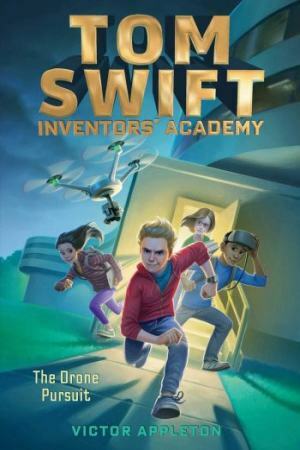 Published from 2006 to 2007 by Simon & Schuster's Alladin Books division, this six volume series, finds a younger Tom Swift back in Shopton, New York, once again the son of Tom Swift and Mary Nestor. His friends are Bud Barclay and Yolanda "Yo" Aponte. In some books, Tom's antagonist is The Road Back (TRB), an anti-technology terrorist organization. Tom's nemesis is Andy Foger, teenage son of his father's former tormentor who now owns a shady competing high-tech company. 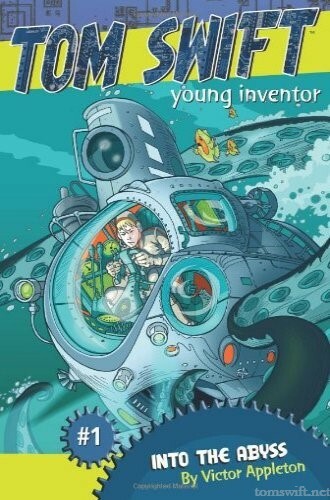 The series features inventions that are close to current technology. The stories are written in 1st person with Tom as the narrator. Cover Art and Plot Summaries. Published fan fiction stories Thomas Hudson, Leo Levesque, T. Edward Fox and others. Since 1996, The Tom Swift Unofficial Home Page has been the premier spot on the web for adult collectors and fans of the Tom Swift books. 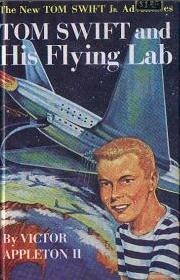 Here you'll find detailed information on all the various Tom Swift series, such as authors, illustrators and much more. There are also full color images of all the cover art for all the series, in addition to various social media groups for fans to get together and swap information, look for books, etc. Books, Collectibles & Other Items. 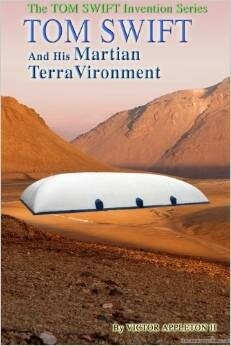 New, Used & Collectible Books Available From Amazon.com. Forums on Facebook and Yahoo! On July 3, 1983 ABC-Television aired a pilot for a new series, the Tom Swift and Linda Craig Mystery Hour. "Young detectives Tom Swift and Linda Craig use their scientific acumen to find a hidden treasure to which they unwittingly lead a gang of cut-throat criminals." 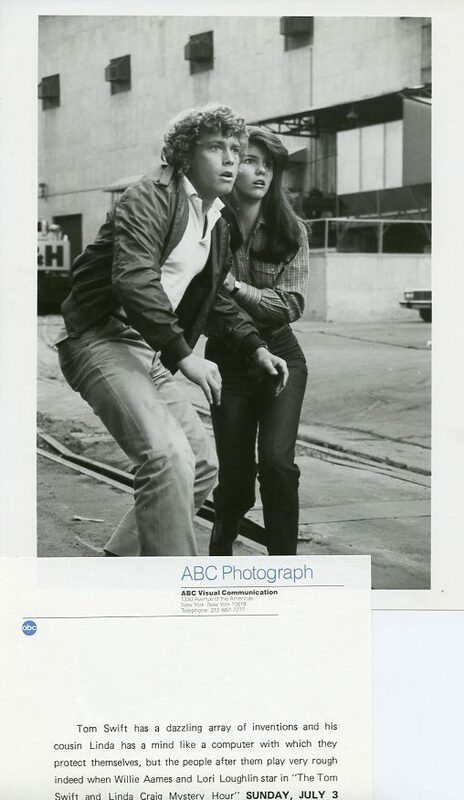 ABC placed the pilot in the same time-slot it had formerly used for the Hardy Boys/Nancy Drew Mysteries, but the program did not develop into a series. From IMDb: Linda Craig's grandfather is kidnapped with the intention of ransoming him for Tom Swift's latest invention, a hand-held carbon dater, which would enable the crooks to identify the oldest structure on the grandfather's property and possibly locate a hidden treasure.